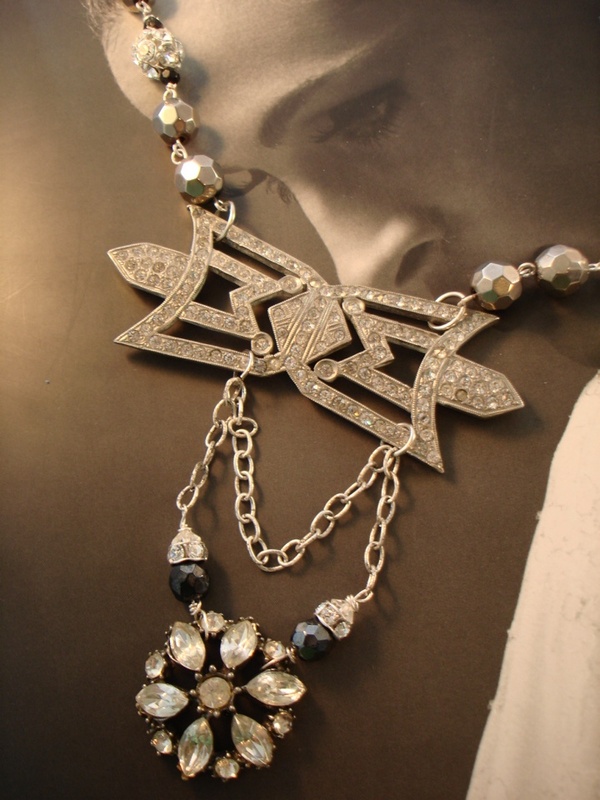 Stunning Vintage silver and rhinestone deco style repurposed brooch is now the centerpiece of this necklace. The chain is made with lots of sparkle and shimmer. Faceted silver glass beads along with rhinestone disco balls,onyx and rhinestone rondeles. 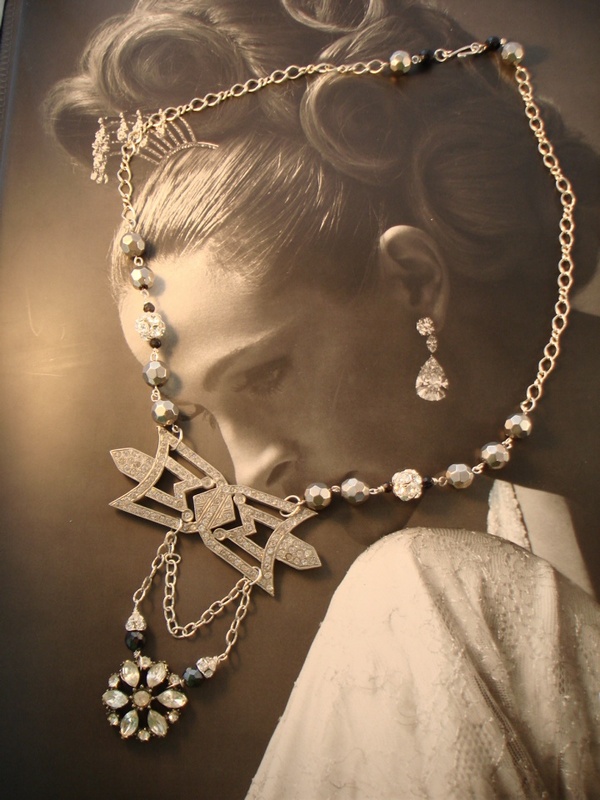 The centerpiece simply shines with the light hitting the rhinestones. dangling below are two silvertone chains the longer chain accented with an oxidized rhinestone button along with black faceted beads and rhinestone rondeles. measures 22" with the centerpiece measuring 3-1/4" X 1". 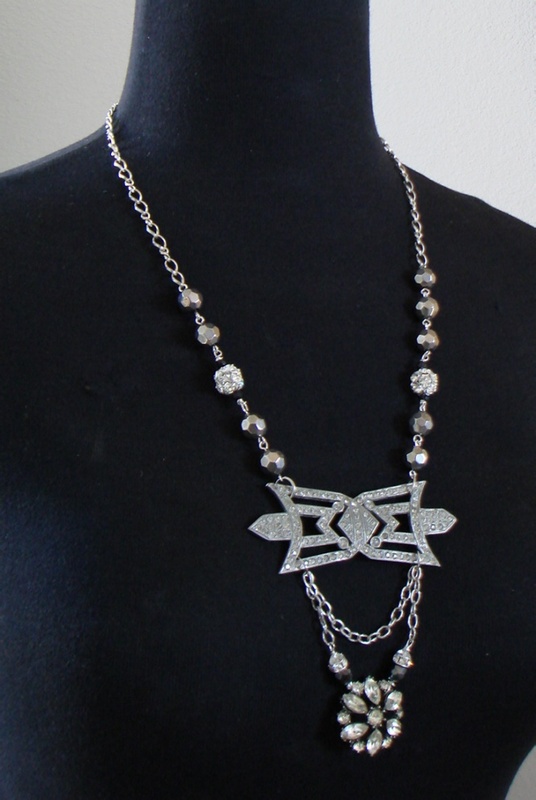 The dangle below measures 1- 2-1/2"
Beautiful Vintage deco styled necklace with lots of sparkle and shimmer.